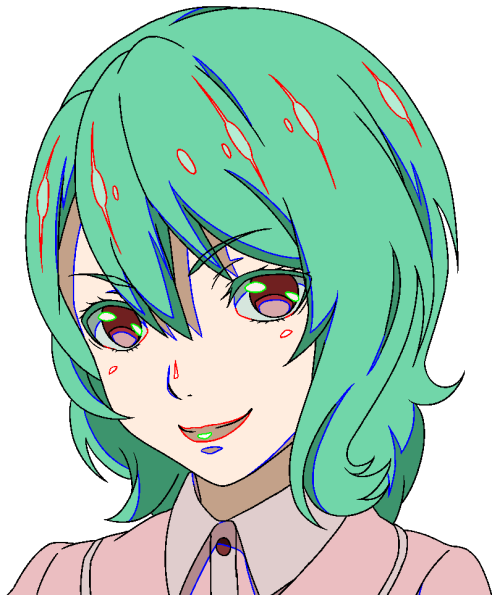 In 2D animation, it is very common to use colored lines in order to indicate the specific color tones which must be used by the colorists. 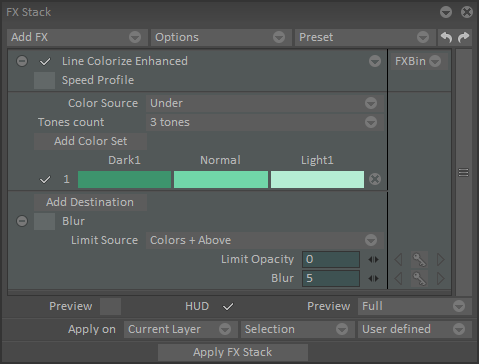 Line Colorize Enhanced allows you to set the lines’ destination colors toward 3 to 5 color tones. 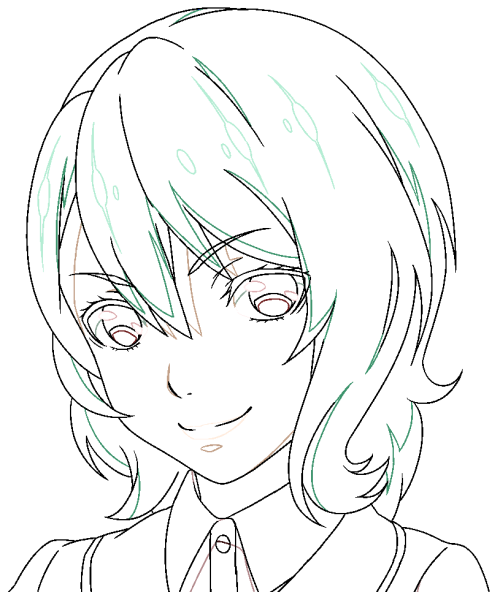 This effect allows you to colorize the lines of your drawings, following the colors filled on the other layers. Hence you must apply the effect on your colored lines layer. 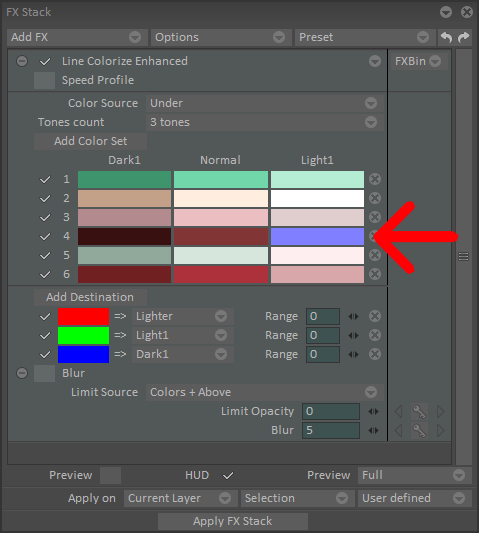 Color Source sets the location of the layer containing the colorization : Under, Above, and Display considers the total sum of colors displayed onscreen. You can define the number of different color tones you use in Tones count from 3 to 5. Add Color Set will add the number of tones you chose in Tone count. You will then have to replace the colors by picking the wanted colors in your colorized layer. In this example, the 3 different tones of the hair were picked from darker to lighter. Add Destination is where you pick the lines colors. You can assign a destination color to Darker, Normal, Lighter, Dark1, Light1, Dark2, etc. Depending on the number of tones you set above. You can then continue adding all the colors of your colorization in the color set and the other line colors in the destination colors. 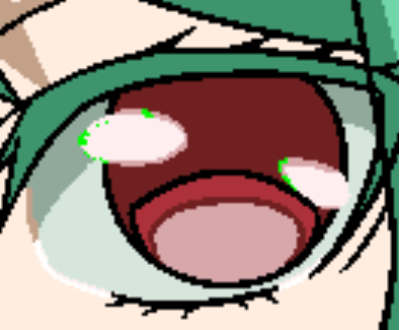 You can notice that in my example the button of the character’s clothing has only 2 color tones, in that case, you can set the 3rd non-existent tone as a color which is not present in the color sources. 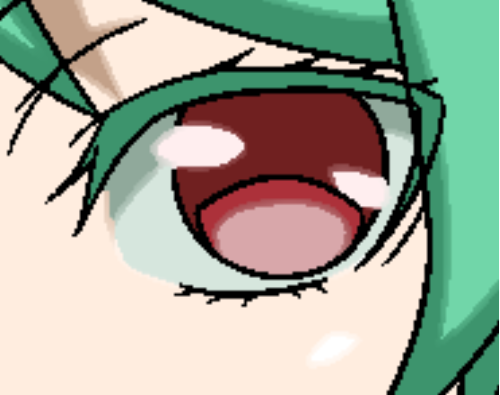 You might see some remains of the color lines in the preview, in that case, increase the Range of the destination colors. 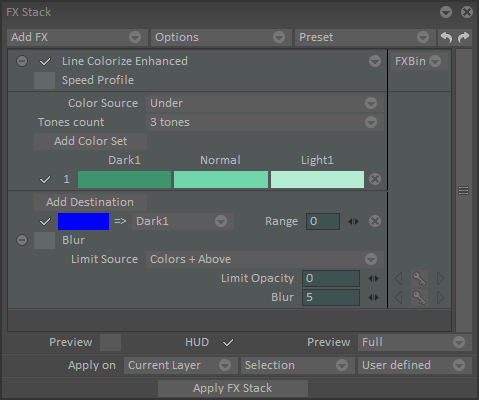 If you wish to use with this FX you must work without AAliasing, the Color Set will not replace the different values of opacity in the line. You can see that all the colored lines have been replaced by the defined tones. Blur creates a blur effect by decreasing the opacity of the line. 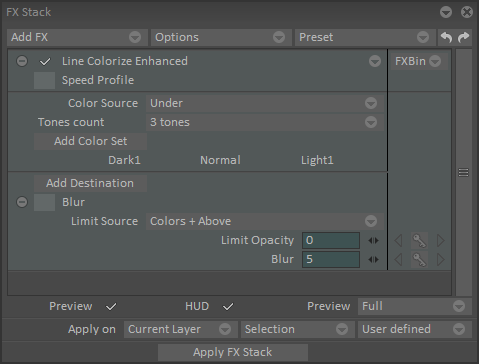 Limit Source defines the source of the limits taken in account by the blur: Colors, Colors+Above, Colors+Under. Limit Opacity defines the minimum transparency of pixels in the limit source to be considered as limit. Blur defines the size of the blur.